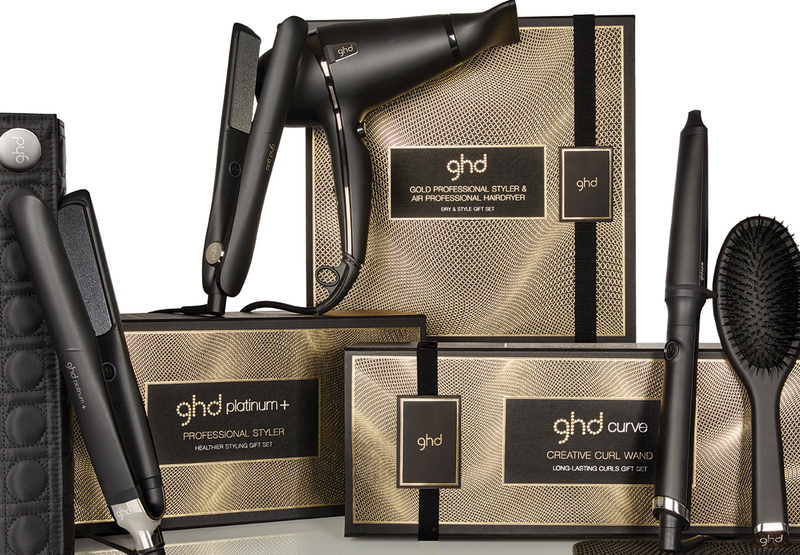 Nothing says “I love you” quite like one of ghd’s premium gift sets.The question is, which one? With a dizzying array of straighteners, dryers and curling tongs on display it can be quite challenging to pick out an option that’ll suit your loved one, particularly if you’re not familiar with the ins and outs of salon-quality styling tools. To help you out, we’ve put together this gift guide; profiling the pros and cons of 5 different boxed sets, so that you can pick a gift set and relax, safe in the knowledge that you’ve chosen the perfect gift. ghd make premium styling tools, the kind that regularly win awards and accolades from some of the biggest names in haircare; but not all ghds are created equal. Like any company, ghd make options to suit a range of different budgets and styles, and their strong focus on technical innovation means that their flagship styling tools are regularly phased out for newer options. This is great news for the hair-obsessed: We’re treated to a constant stream of top-end styling tools, and we never have to worry about whether or not we’ll find the perfect pair of straighteners. 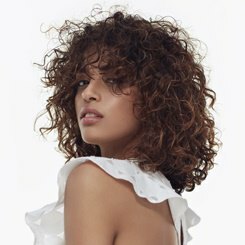 It’s great for those of us with unusual hair types too: whether it’s super curly, dead flat or just oddly resistant to straightening, ghd are guaranteed to have something that’ll suit you. There is a slight downside though: all of those different options can make it quite hard to pick out the perfect pair, particularly if you’re buying for someone else. 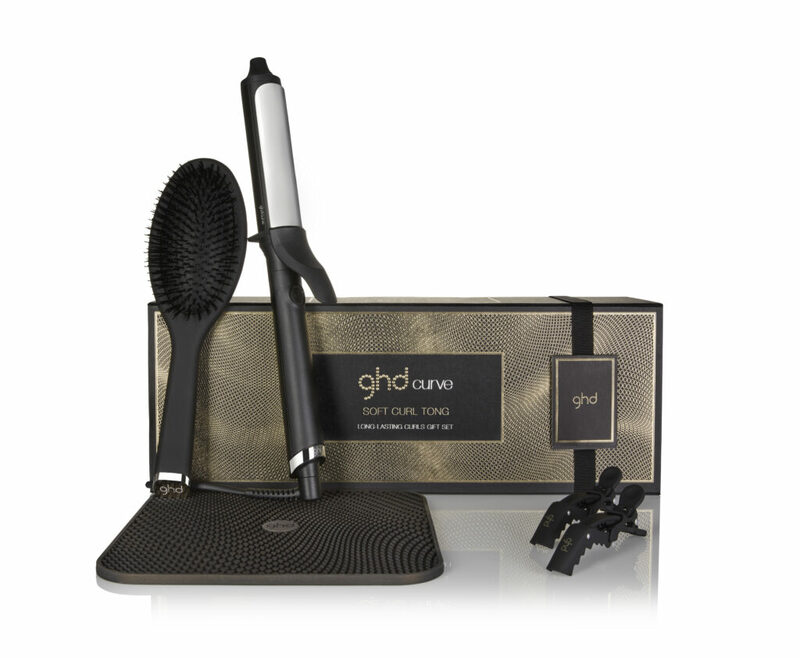 To help you out, we’ve put together this guide showcasing 5 of our favourite ghd gift sets. Rather than bog you down with tech-specs and product comparisons, we’ve tried to focus on the pros and cons of these stand-out boxed sets, and the type of person they’ll really suit. We’ve also tried to focus on products that’ll make for unforgettable gifts, including some brand-new sets that offer real bang for your buck. Whether you’re buying for your sister, your fiance or your best friend, these boxed sets are sure to put a smile on their face. More importantly, they contain the very latest ghds so you can rest assured that you’re giving them something that’ll really go the distance. The ghd gold (sometimes called the ghd V) is an outstanding straightener. Launched in February 2018, it combines a beautifully curved, snag-free shape with ceramic heat plates and ghd’s unique dual-zone technology, which is designed to keep the heat to an even 185 degree temperature that’s perfect for styling. It can be used to create sleek, straight hair, soft waves and everything in between. More importantly, it’ll style hair without damaging it, and produce salon-quality results. It heats up in next to no time as well, and it has a professional 2.7m cord too so you can use it in your bedroom, bathroom or sitting room without worrying about finding the nearest socket. It’s the perfect entry-level straightener and it’s a great buy for anyone that styles their hair. It’s also fantastically easy to use and it represents a significant upgrade when compared to most supermarket or drugstore straighteners. 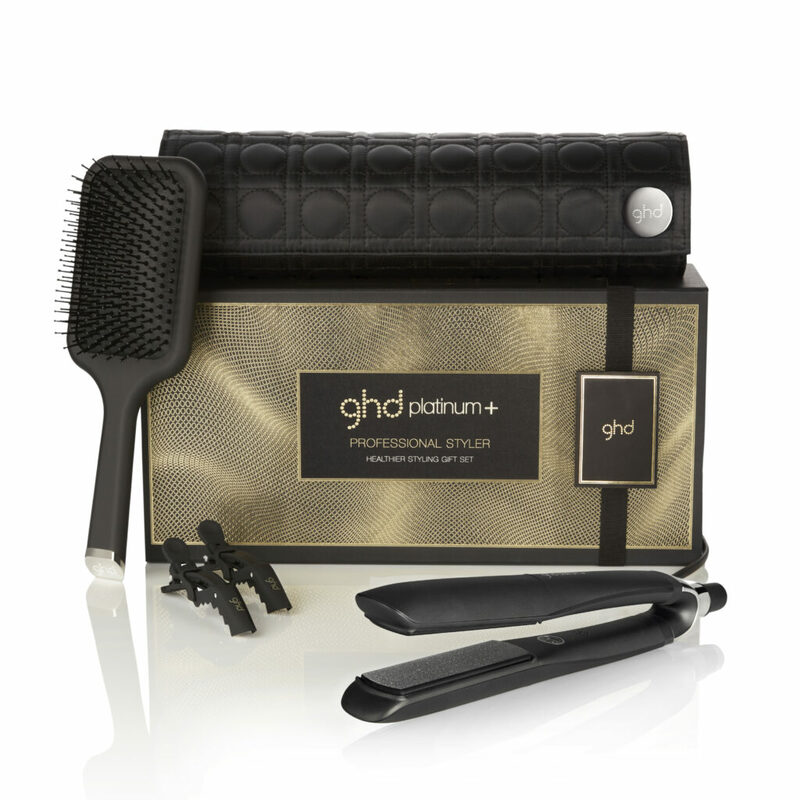 This brilliant little gift set combines a pair of ghd Golds with a heat mat, a brilliant little paddle brush and sectioning clips; giving them everything they need to start crafting picture-perfect styles. 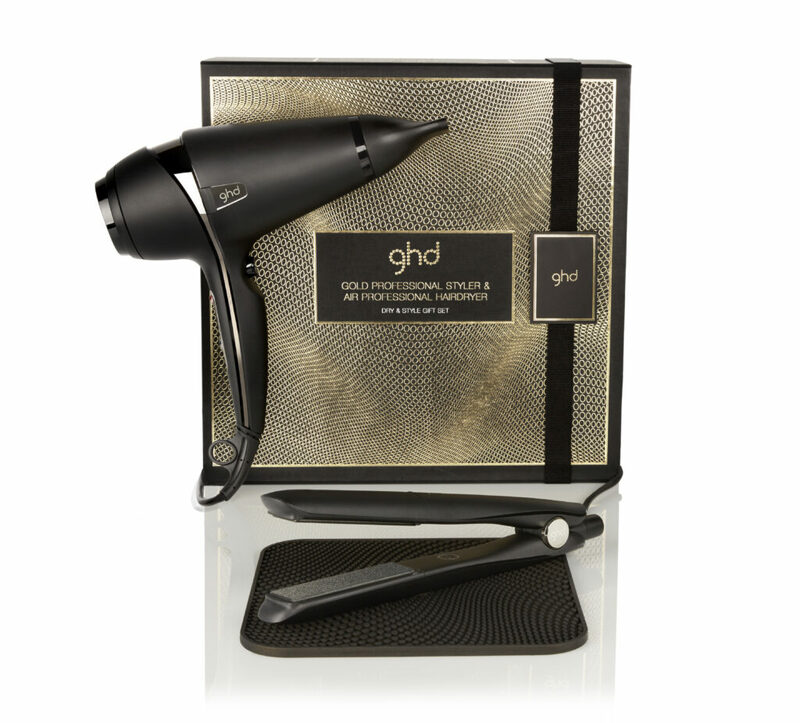 The ghd Gold gift set it brilliant value for money too, and you really can’t go wrong with such a tried and tested product. If you know they’re looking to upgrade their straighteners, this is a brilliant place to start. As the name implies, the ghd Platinum+ is a revolutionary straightener. 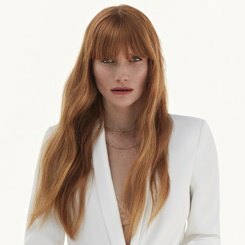 It boasts cutting-edge Tri-Zone technology that uses six high-performance heat sensors to monitor the temperature of your hair, and their unique wishbone hinge means that the plates are kept in perfect alignment too. It is the last word in smart styling technology, and it’s one of the few straighteners that will always produce a salon-quality finish as it predicts the thickness of your hair and adjusts the temperature according to your own styling speed. With all of this new and amazing technology, the Platinum+ has been designed to be incredibly kind to your hair. 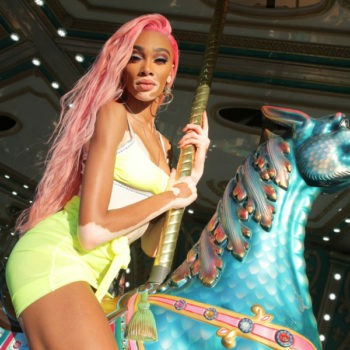 In fact, its been shown to reduce breakage by up to 50% and it’s also very kind to color which makes it an ideal choice for anyone that likes to dye their hair. Another bonus from these amazing new stylers is that the Platinum+ heats up incredibly fast; its precision-milled ceramic plates will be at optimum operating temperature in approximately 20 seconds and they’ll stay that way until you’re done styling. This is a real bonus on busy mornings, and it’ll put an end to all those times that you have to sit there, twiddling your thumbs while you wait for your straighteners to heat up. This gift set combines a pair of brand-new Platinum+ straighteners with a heat mat, a brilliant little paddle brush and sectioning clips that are designed to make styling a breeze. These extras are all salon-quality products in their own right, and while they might seem like their overshadowed by the flagship item, they’re actually an absolute godsend for anyone that wants to get the most out of their straighteners. Oh and the best bit? The whole thing comes packaged in a sumptuous box that oozes quality, and opening it feels a little like you’re unlocking the door to a whole new world of luxury styling. If you’re looking to really pamper someone, there really is no better option. Know someone that’s curl obsessed? This gift set is absolutely perfect. Combining a pair of ghd’s pioneering Curve Soft Curl tongs, a handy heat mat and one of the best hair brushes we’ve ever tried, it includes everything they’ll need to create soft, tumbling curls. 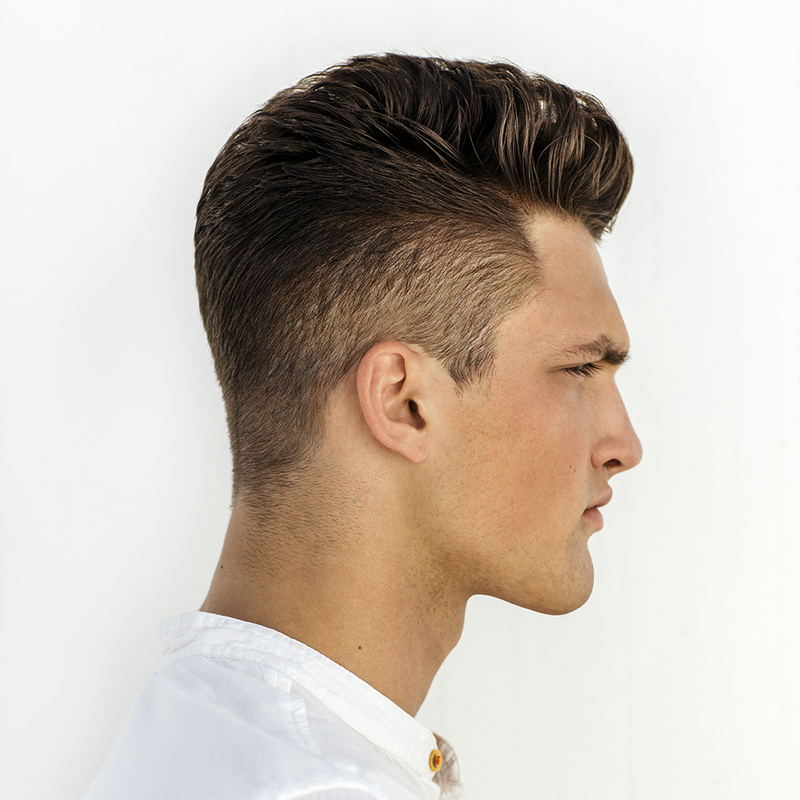 The Soft Curl tong is a relatively new product, and it’s packed to the gills with helpful features. There’s a 30 minute sleep timer, an ergonomic clip and even special cool-tip technology that allows you to handle the curler without worrying about burning your fingers. Better still, it features 6 inbuilt heat sensors and ultrazone technology that keeps the whole wand heated to the perfect 185 degrees needed for safe styling. This ability to create even and consistent heat is what really sets the ghd Soft Curl apart from the competition. It ensures that your hair is never damaged by excess temperatures, but it also provides the heat needed to really lock-in those curls. It’s the reason this wand can be used to create anything from the soft, bouncy curls of hollywood’s yesteryear, right through to the waves favoured by 2018’s celebrity A-listers. We love the oval styling brush too – it’s one of the few brushes that we’d trust on any hair type and it’s incredibly easy to use. So much so that some of our stylists actually use them in our salons across the country. When you combine the brush, the curler, the heat mat and the sectioning clips, you’re left with the best curling kit that any glamour-obsessive could hope for, and a truly fantastic christmas present. The ultimate combination, this gift set contains a pair of ghd Gold straighteners, and ghd’s revolutionary new hairdryer: the Air. Both of these fabulous tools are used by professional stylists up and down the country, and they really come into their own when they’re used together. The Air is a powerful hairdryer, with a 2100kw motor and a host of technological innovations that are designed to dry your hair without causing heat damage. It’s also quick and quiet, and it’ll have your hair straightener-ready in minutes. Which is where the ghd Golds come in. As mentioned above, these straighteners are a premium product, boasting precision-milled ceramic plates, an ergonomic design and Dual-Zone technology that’s designed to ensure that the temperature never deviates from that magic 185 degree mark that’s prized by professionals. Like the Air, they’ll take care of your hair and produce some brilliant results. In combination with the Air, they’ll also produce the sleek and sophisticated finish you’d expect from a salon styling session, and they’ll do it in minutes rather than hours. So, if your loved one is looking to overhaul their kit, why not treat them to a combination of the industry’s most revered styling tools? There’s nothing more exciting than unwrapping a set of toys that’ll completely reinvent your routine, and we’d struggle to pick a better gift. 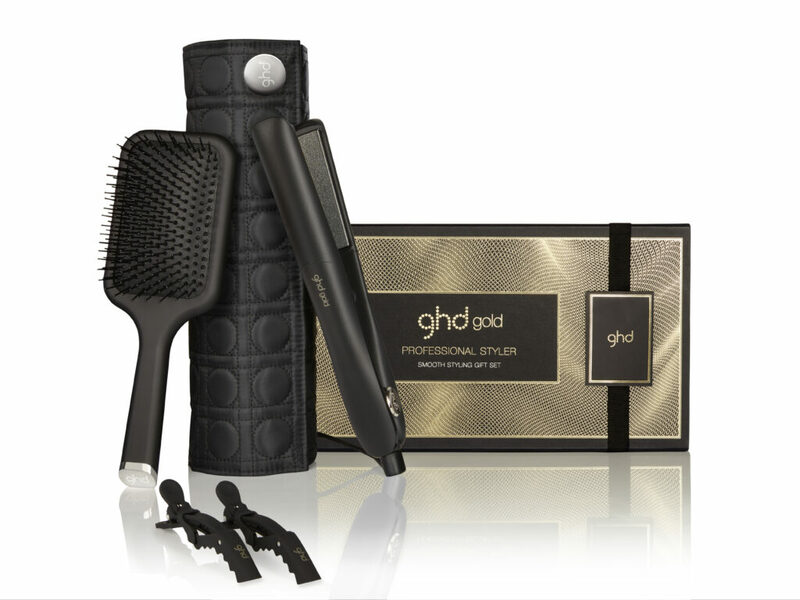 Found the perfect ghd giftset? Tell us all about it @Regisuk using the hashtag #Regisuk and we’ll feature our favourite pics on Instagram!